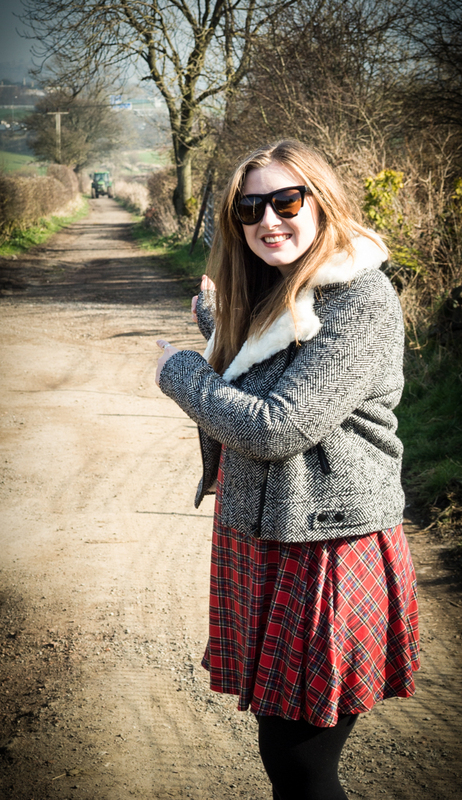 I was recently sent the Faux Fur Collar Biker Jacket* from Fashion Union. It is a gorgeous jacket, warm on the inside and perfect for the fluctuating weather we are having this spring. Sizing is very small, it is described as oversized but it is very narrow along the back and arms so I would size up with this jacket. I love the colouring and think it goes perfectly with tartan. I teamed it with my New Look Red Tartan Check Swing Dress. This dress is oversized and not at all fitted but is very comfy and casual and will be brilliant for both spring and summer as it is so loose. Next Post Colgate Max White Review – Whiter Teeth?